Within the collaboration agreement signed with the National Agency of Ports of Morocco, professionals of this agency will visit the facilities of the company in Madrid, Tarragona, Barcelona, ​​Bilbao and Santander. BERGÉ, through its Port Operations business unit, has started its International Talent Development Program this week in collaboration with the Port Training Institute (IFP) of Morocco. The institute is integrated within the National Ports Agency (ANP) with which BERGÉ signed a collaboration agreement, last March, to promote training and specialization in the field of port management and logistics. During the next two weeks, a selected group of 12 professionals from the ANP will participate in a course with seminars and professional meetings that will include technical visits to the ports and facilities where the company operates in Spain, from its headquarters and center. vehicle logistics (Ciempozuelos) in Madrid, to the port terminals of Barcelona, ​​Tarragona, Bilbao and Santander. Terminals specialized in vehicles, agri-food bulk and industrial, steel products, as well as those destined to “Carga Proyecto”. The designed program covers different modules which will deal with the management of logistics platforms and dry ports, management of port infrastructures, security and prevention in ports, efficiency, innovation and digitalization of processes, as well as marketing and communication. An initiative that aims to promote bilateral cooperation with Morocco for the training of young professionals in the port sector. 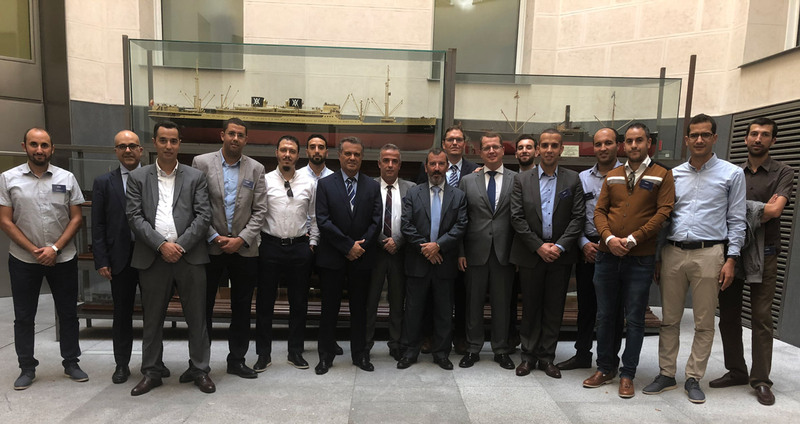 In addition, and in collaboration with Puertos del Estado, under the Ministry of Development, the Moroccan participants will also be offered a vision of the Spanish port system and its development plan. The NATIONAL PORT AGENCY is the authority and regulatory body of the Moroccan port system established by Law 15-02. The Agency brings together the entire port community around common objectives. It works to create a competitive port environment that promotes equitable and sustainable development, characterized by solid competition, efficiency, transparency and good governance, and that guarantees safe and quality services.